A South Yorkshire industrial site once used for the production of KP Nuts has been sold to a Rotherham manufacturer of timber garden buildings in a £1.3m deal. The 152,000 sq ft site on Rotherham’s Chesterton Road has been snapped up by Timber Garden Buildings Ltd for the manufacture and distribution of garden sheds, summerhouses, garden storage and tanalised timber products to trade customers. 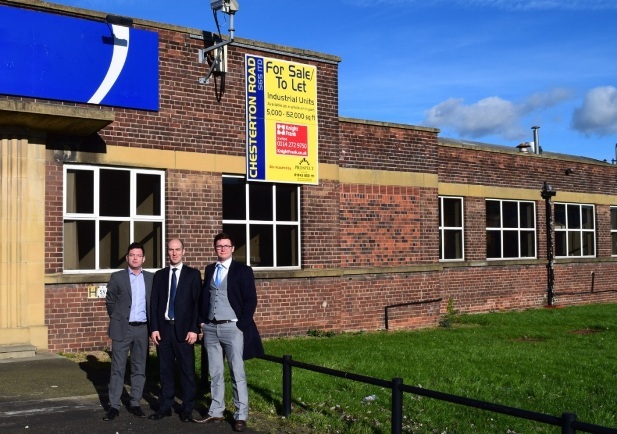 The site was sold on behalf of Prospect Estates Limited, a West Yorkshire based Property Investment company, by the Sheffield office of Knight Frank with Wake Smith Solicitors completing the legal work for Timber Garden Buildings Ltd and Addlestone Keane Solicitors acting for Prospect Estates. Ben White, senior surveyor at Knight Frank, said: “We originally acted on the sale of the Chesterton Road site to Prospect Estates when it was disposed of by KP Nuts. Covering 4.8 acres, the secure site comprises of three units at approximately 32,000, 42,000 and 910,000 sq ft with six dock-level loading doors, approximately 32,000 sq ft of offices, canteen, gate house and large loading and car parking area. Graham Vernon, managing director of Timber Garden Buildings Ltd, said: “The Chesterton Road site is perfectly positioned for our operations and enables us to expand the business through a more suitable manufacturing base and distribution set up. The purchase of Chesterton Road was financed by HSBC.